You must make reservations at least 5 minutes in advance of the time at 100 Sails Restaurant & Bar. Hotel self-parking and valet parking available with restaurant validation. The Prince Court Restaurant - "Private Dining Room", floor to ceiling windows overlooking the Ala Wai Yacht Harbor. 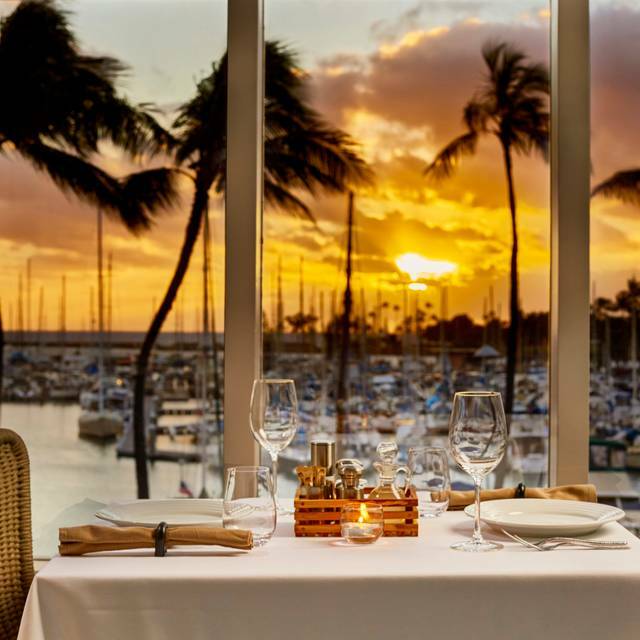 Introducing Waikiki’s latest culinary delight, 100 Sails Restaurant & Bar, offering signature views of Ala Wai Harbor and the ocean beyond as well as breathtaking front row seats to Hawai‘i’s most spectacular sunsets. 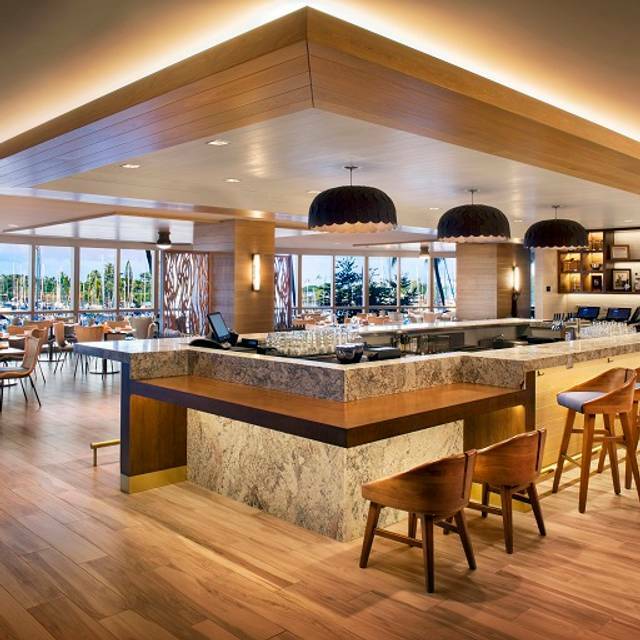 Experience a fresh active bar serving as the centerpiece of the restaurant. Enjoy tasty small bites throughout the day and craft cocktails in the evening. 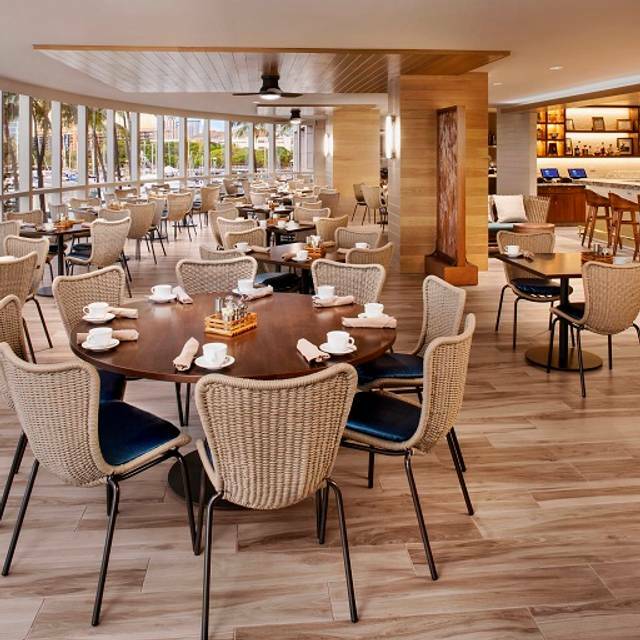 A renewed focus on island fresh cuisine promises to elevate the entire dining experience including an artfully displayed breakfast, lunch and dinner buffet each day of the week. I'm going to presume that Friday was a seafood day. However, just because it's a seafood day doesn't mean you should have only seafood. For people allergic to shellfish or who don't like sea food the only option was poorly flavored chicken and overdone prime rib. For having one day to enjoy the hotel restaurant, it was almost a total waste of time and money. 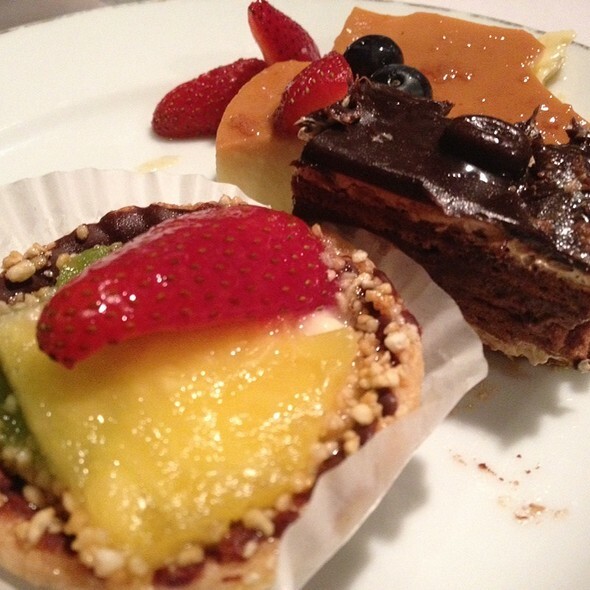 The only plus was that the desserts were very good. I loved everything about this place!! The restaurant is beautiful, Food was amazing, Staff was just the best and the price is worth every last penny!! We decided we will make it a monthly thing to come here as a family!! Mahalo for the awesome experience.. This was my first visit after the renovation. The restaurant appeared much smaller than the previous set up. The acoustics suffered from the hard floors and it was noisy. Being that we were two senior couples, a quiet conversation was difficult to achieve. The food was excellent, and Harold, our server, was attentive to our needs. 2 staffers. . .. one was SOOOO RUDE! another was NOT ALL THERE! food were awesome... crab legs, prime rib , shrimps! Love the place! Son was visiting from Texas. Very upset that they changed the menu and did not have the item I was looking forward in having. Can only guess that the quality of the product must be lacking. They should sores their high end products from local home raised and grown farmers. Not very happy with this meal. 😖. Sad that the Prince Waikiki charged premium prices for substandard food. The only items I enjoyed was the desert offerings, sushi and prime rib it was awesome. The dinning room is not very well kept. It is very messy and the staff although friendly and pleasant seem to lack the professionalism of a so called high end hotel. I can only imagine what there starting rate for wait staff maybe. But if you order ala cart, the items seem to be under par in quality. SAD. Very disappointed. Not a good choice, next time I will go to Ruth Christ Steak House you always get a awesome meal there. BUMMER. Wish the crab was warm and butter had flavor. Over all it was excellent food and experience. Selection of food was great. Only criticism was that the warm entrees were not hot. The meat dishes were slightly overcooked and not tender. 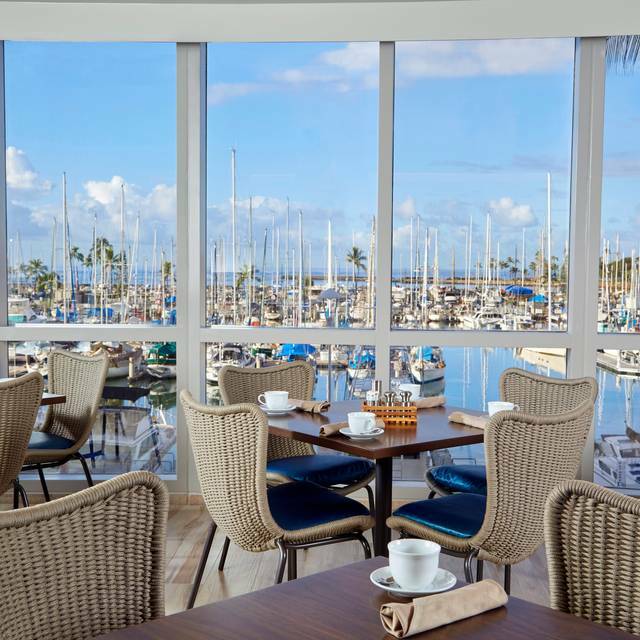 Great harbor views, fantastic lunch buffet! Highly recommended. Amazing buffet! Without question the best value for your money on the beach. Food selections was small. Not sure if it was because we made our reservations through Open Table instead of calling, but they put us in this corner table that didn’t even seem like it was part of the restaurant. There were about 5 tables in this area and It was where they take all the dirty dishes. Disappointed with the lack of selection and for what we paid, not worth it at all. Tried this place for the first time. My friend did the buffet and I did ala carte. My friend would have enjoyed the crab legs more if they were steamed and she noted that the buffet did not have any line organization meaning people were not going down the line in one orderly direction. 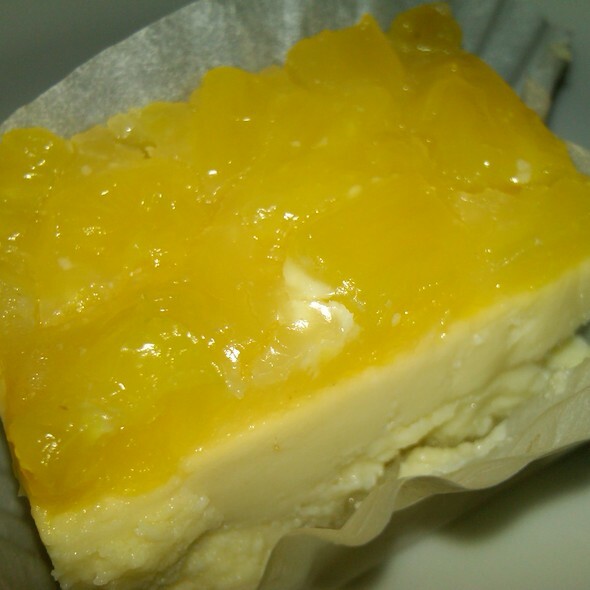 She did have lots of great choices including oysters, clams, shrimp, crab legs, sashimi, sushi, prime rib and desserts. I ordered the ribeye and joked how much I hate kale (the vegetable side dish). Well eat my words, the kale was the best part of my meal. I'm not saying that the steak or potatoes were not good but the kale was just delicious. It was cooked in butter and garlic and didn't have that bitterness that I hate. I would return just to order the steak and double kale (no potatoes) for a great keto meal. Service was good. Thank you Devin. It was my friend's birthday and he came by with a nice little slice of cheesecake with a chocolate medallion with happy birthday written on it which was a nice finale to an awesome dinner. Only knock was windows were a little dirty but realistically, you can't clean them every day. Excellent dining experience. Fantastic food and quality service!!! Service was great. Foods was okay. OMG. possibly my new favorite restaurant. My husband and i came here to celebrate our 1 year anniversary of marriage. this was our first time here and we had such an amazing, fun experience here! we will definitely be returning and recommending others to this place. we came dinner time for the buffet and we were running a little late due to a long day at work and traveling out from waianae but it was so worth it! buffet dinner time for adults is $59 and children older 6 is $29. our buffet offered a variety of all kinds of food! seafood, meats, salad bar, pasta, fruit station, catch of the day, carving meat made to order, sushi station made to order, desserts & they also offer anniversary/celebration cakes. there was so much variety of food to choose from, we were in heaven! the food was tasty, constantly being restocked and fresh! sushi portion was so perfect! our waiter was friendly, entertaining and provided great service from start to finish. his name was philip, same name as my husband! haha. when we were done eating before we were about to leave we chatted with our waiter and he learned that we came here to celebrate our late 1 year anniversary of marriage and offered us an anniversary dessert. he was just all around a nice guy that kept us entertained and he took care of us throughout the tBonus was having complimentary valet parking for their guest (valet guys were friendly and took care of our truck and us from the start) and We were greeted by everyone that worked in this hotel and restaurant! we were served consistently and promptly throughout the night til closing! we were amazed by this place! there was also live entertainment going on and the setting was dim, romantic, formal yet casual and local! we loved it! we took full advantage of our buffet and over stuffed ourselves lol we woke up the next day with no regrets doing so. everything that was out was so delicious and flavorful! amazing all around! we love this place! will definitely be coming back! Buffet at Prince Kuhio was much better before it became 100 Sails. A lot better selection of foods, more for your money. This is a cruise ship type buffet feeling, so go if you want a huge stack of crab legs but definitely not for a romantic evening. Excellent buffet. Delightful servers. Great location. Not worth the $60 per head to eat the dinner buffet. The crab legs were plentiful but tasted inconsistent because some pieces was so salty that you cannot taste the sweetness of the meat. The oysters were mostly breading and little oyster. The salt and pepper shrimp had good flavor but was over cooked. The best part of the meal was the macadamia nut pie. One of my favorite places. It can get a bit noisy depending upon where you are sitting, however great food, view , & value for the money. Great service and food. Looking out over the harbor on a clear sunny day was an extra bonus! Great food. One of my favorite restaurants! Excellent service, terrific view, wide array of food choices! What more could you ask for? It was ok. The buffet didn’t have much of a variety. Been to good high prices buffet in mainland but this is one of best. Crab legs was amazing and other foods were all good. I am a salmon lover and wished they had a salmon sashimi though. Desserts were outstanding too. Check online for specials on 100 sails and parking! Aloha & we had a great time ! Perfect table for 4 on the window- ready to watch the sunset, excellent waiter Devin, lots of delicious food selections - all fresh & appealing, tasty cocktails, & wedding anniversary celebration cake slices for us ! Using our Marukai card was a surprising bonus ! We'll be back ! It was amazing. Good service, amazing food. Had celebrated my boyfriend's 42nd birthday here. We both enjoyed the Sunday brunch buffet. Thank you for the wonderful experience. The wait was a little long although we had reservations, but there was a good selection of dishes. If you're a big eater and hungry, definitely go this buffet. 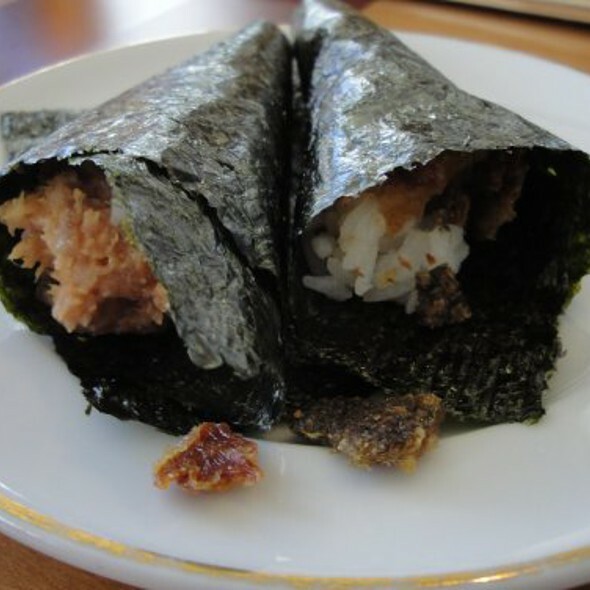 If you're not very hungry and a bit of a nibbler. You'll be wasting your money on "not" having all the good food. Unfortunately my guest and I were not very hungry and just had a small portion of food for the $120+ cost. We probably consumed about $15 worth of food each. So big eaters and those who like King Crab legs, definitely go to this buffet and get your "crab" on. Otherwise skip it and go to a smaller intimate restaurant for dinner. Great food, various selections of main entrees, salad and pupus. I especially enjoyed the fried oysters and shrimp. Geat dining experience with live music. Geart view, we also got to see the fireworks without messing with the crowd. except traffic was pretty bad leaving the restaurant. Absolutely amazing. Great service, delicious food, AMAZING view of the beach and sunset. This restaurant is perfect for any occasion.